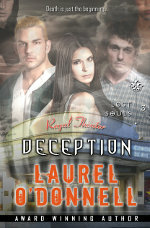 Here is the complete list of books written by Laurel O’Donnell that are currently available. We have listed them in the order in which they were published and will continue to add newer titles to the bottom of the list. Click on a book cover or book title to read more about each one. 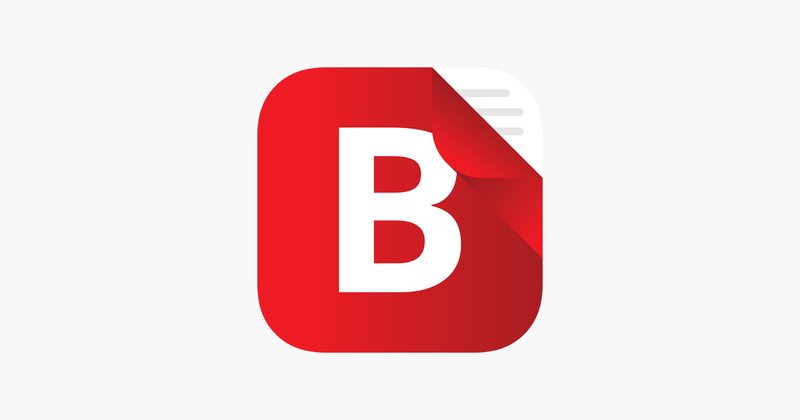 If you already know which book(s) you want to buy, we have provided quick links to your favorite ebookstore alongside each book. 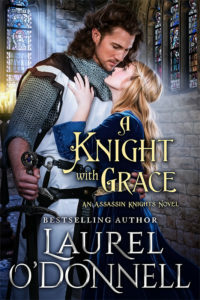 In this exciting medieval historical romance, the French lady knight known as the Angel of Death wages a battle of wills and desires against her dreaded enemy — the English warrior known as the Prince of Darkness. 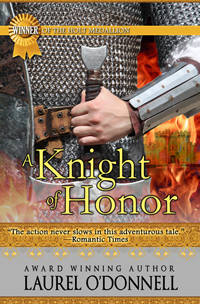 An epic medieval historical romance. 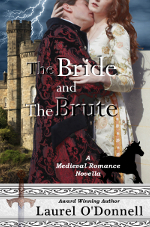 The Bride and the Brute – Free! A medieval romance novella. 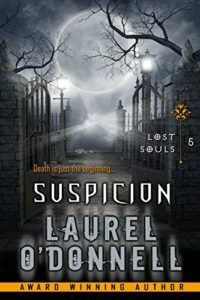 This free eBook also contains free sample chapters from many of Laurel O’Donnell’s full length medieval novels. FREE on Amazon, Smashwords, iBooks, B&N, AllRomanceEbooks and Kobo for a limited time! A mysterious falconer infiltrates Castle Fulton, intent on reclaiming what is rightfully his. When the handsome stranger lays eyes and hands on Lady Solace Farindale, all of his plans start to crumble around him. 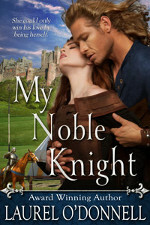 A medieval historical romance novel centered around the siege of a castle and the intrigue and betrayal that surround it. Disguised as the legendary hero known as the Midnight Shadow, Lady Bria Delaney swears to rid the land of Lord Terran Knowles’ cruel tyranny. She is stunned to encounter him in her father’s castle — one of the many suitors vying for her hand. Captivated by his darkly intent gaze, Bria struggles to suppress her fierce attraction to the very enemy she has secretly promised to destroy. 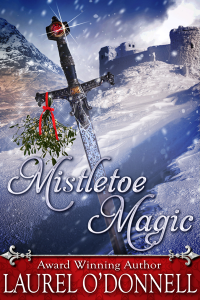 A Robin-Hood style medieval historical romance with a twist. Fox Mercer watches in horror as his father’s knighthood, lands and nobility are all torn from him. Banished into disgrace, Fox waits for the moment to strike to avenge his family’s honor. And that moment arises when a tournament is announced — a battle of champions wherein the winner gets to claim a very lovely prize. 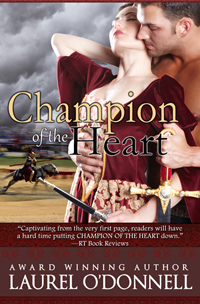 A medieval historical romance with an exciting tournament, a haunted castle and a passionate love story. 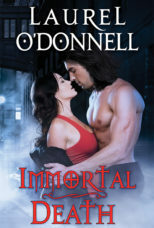 Jade Smith’s supernaturally fast ability to heal has made her a freak. The one thing that keeps her sane is her writing–and her wonderful Demetrius, an imaginary character she created in her online stories. But when Demetrius suddenly appears in her apartment, her life changes forever. Demetrius Mercer is a fighter vampire for the de Nouviant family. When he learns Jade Smith knows his life story, he must uncover who she is and how she knows so much about his past–before she exposes him and endangers his entire family. Damien is an assassin, a man with no home and a tortured past. Sold into slavery as a young boy, he is trained to kill with cold calculation, without remorse. Lady Aurora of Acquitaine is the epitome of purity and goodness, beloved by all her people. When Damien enters Aurora’s life, tempting her with promises of dark passion and forbidden lust, he threatens to tear her peaceful world apart. 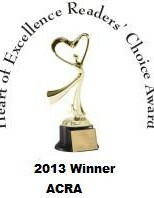 Winner of the Golden Rose for Best Historical Romance. This is a SHORT STORY. 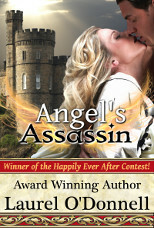 It continues the story of Damien and Aurora from ANGEL’S ASSASSIN. Episode 2 in the Lost Souls series. Sam and her brother Ben, along with their new friend Christian, have just defied the leader of the Lost Souls. Outcast from their former group, the three of them battle the dark forces of the Changed on their own. With the help of their old friend, Eugene, they investigate the mysterious disappearance of one of their Lost Soul brethren. Episode 4 in the Lost Souls series. Sam and Christian have mysteriously disappeared. 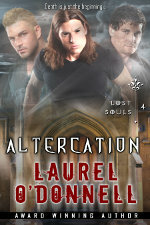 An unlikely group of allies is formed as Damien, Ben and Eugene search for their missing friends. With the calming presence of Sam gone from his life, the urge to make the Jump into a human grows dangerously strong inside of Damien. To add to their anguish, a powerful new menace threatens the destruction of both Souls and humans alike. Can they find Sam in time to stop Damien from making the Jump? Griffin Wolfe, the undefeated jousting champion. When he is unhorsed by a slip of a woman who is not a knight, he demands retribution. His honor will not allow him to let a woman be thrown in the dungeon and he has no choice but to pay her fine, ordering her to travel with him until her brothers can repay him. Griffin attempts to educate Layne in the art of being a woman, but finds he is attracted to her exciting personality and uncommon beauty despite her less than ladylike ways. 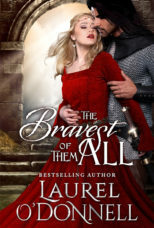 The Bravest of them All is a medieval romance novella.